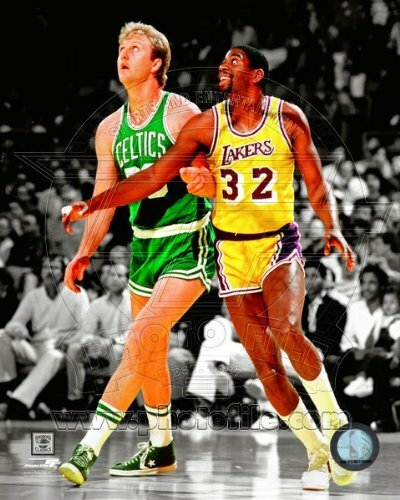 Custom cropped on high gloss photographic paper, this officially licensed 8x10 color photo pictures Larry Bird of the Boston Celtics and Magic Johnson of the LA Lakers. Official NBA and NBPA logos as well as a sequentially numbered official licensing Hologram appear upon photograph. This is not a mass produced copy. It was made in a custom photographic lab, not on a printing press.